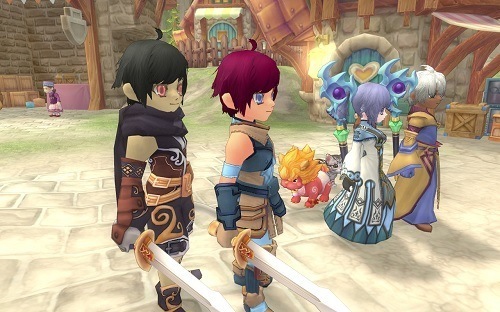 Eden Eternal is a fast paced MMO with an impressive anime set of graphics behind it. The game is definitely one of the higher quality MMORPGs around and is worth checking out if you are on the hunt for a new game. In Eden Eternal you will be assuming the role of a hero that was found trapped within a strange blue crystal and of course you can’t remember a single thing about your past. Your strange crystal hero can belong to any of the 15+ class options which fall into five branches of character type which are all fairly typical of the MMO scene. This includes a melee DPS branch, ranged DPS, magic DPS, support and the always useful tanking class. If you always struggle to decide which class to play you’ll really enjoy the free class system of Eden Eternal that lets you freely switch your class at any time meaning you no longer need to roll alternative characters. No longer will you be stuck levelling your support character alone or always playing the tank when you raid with friends. Beyond classes there is plenty of other customisation available through the item system which is probably one of the most developed on the MMO scene. There are a ridiculous number of items in the game to find from monsters and you can even dye your clothes to help you stand out in the crowd. In addition to items you’ll even get your own pet companion that will happily join you on your adventure and grab the loot for you to help keep you in the action. Progression in Eden Eternal in heavily based around questing and you won’t need to grind levels for your character like in other MMORPGs. In addition to all the standard kill and fetch quests players will be able to tackle dungeons alone or with friends which feature a nice variety of bosses with their own unique drops to find. Finally, no MMO is complete without social aspects and Eden Eternal has this covered with a large game population, a great chat interface and the all-important guilds. 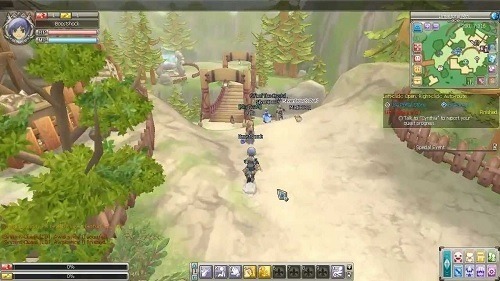 A great anime style MMORPG. Huge number of class options with the ability to freely swap between them. Impressive item system and the ability to dye your gear. Your own pet companion follows you around collecting loot. Dungeons, boss fights, guilds and PvP all included.